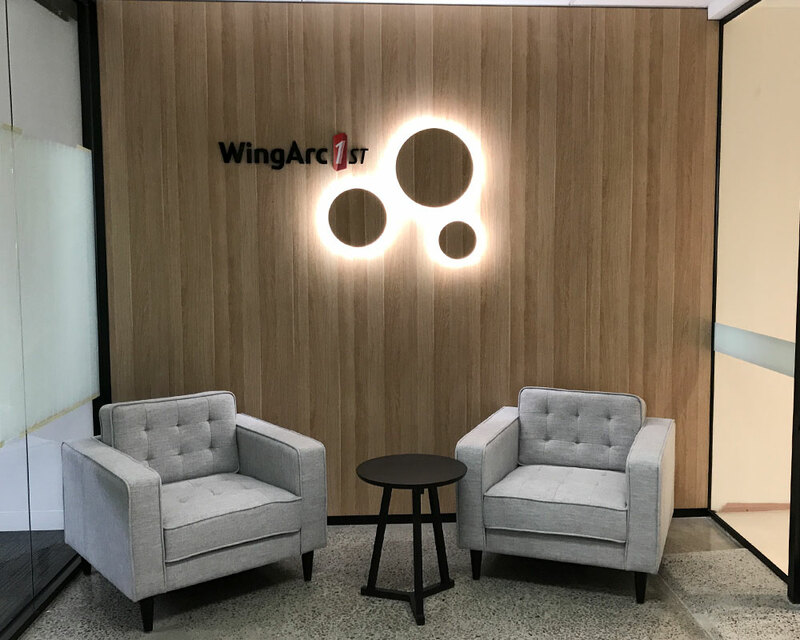 ​The aim was to ensure the upgraded space solved the space issues while also reflecting the young and innovative company culture. Fun and informal private and collaborative spaces were a must along with improved acoustics. On top of the usual budget constraints, ongoing growth at Biarri Networks means a move in the next couple of years is likely – so it made sense for the majority of the spend to include re-locatable items. ​Effort invested in researching design and layout is never wasted. For this project, we first investigated the company and the way staff work. The office operated mostly on open plan, with workers enjoying the casual nature of the office. However, staff were also finding it difficult to concentrate, with lots of noise and visual distractions. The solution? Mapping out the new layout by task and acoustics, with staff selecting their work point to match their task (also known as agile working). ​To ensure the team at Biarri Networks weren’t held back from their love of solving complex problems for too long, we delivered the project over a Friday and weekend. Staff packed up on the prior Thursday evening and, with no disruption to IT services, continued to work from home on the Friday. 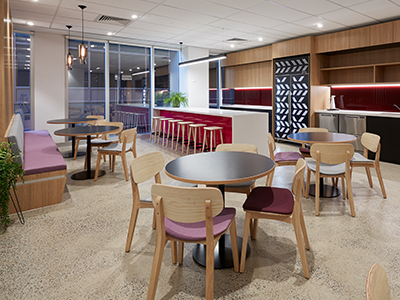 Cost reductions and sustainability The bones and best sections of the fitout stayed – things like partitions, wet areas and base-building finishes (polished concrete, ceiling tiles and air-conditioning). Unwanted items were re-purposed by giving away to staff or free-cycling. Re-locatable items All fitout additions can be re-used if a move takes place. Company culture Picnic tables for meetings, Biarri beer boxes for room dividers, a hoodlum concept for private Skype or mobile calls, and feature lighting create a young, fun feel. Better acoustics Softer finishes and other acoustic solutions balance against harder base building finishes from the polished concrete floors, high ceiling tiles and plaster walls.